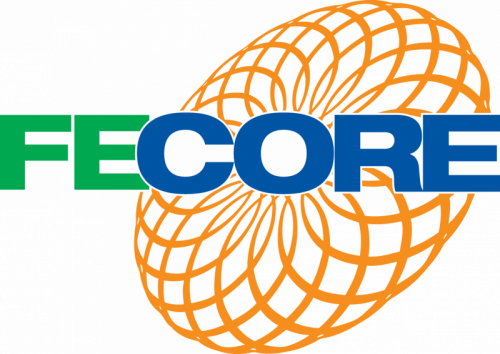 Since June of this year FECORE has been working to test a microwave link from the coast of Holland to the southeast coast of England. Current procedures for determining microwave link antenna locations take into account an earth curvature formula ranging from 1 1/3 to ½ the standard model size of a sphere earth. We think it is possible that a microwave link with data speeds around 100 mbs can be established at distances much further than current industry standards. The two main participants in this test are Mike Cavanaugh in Netherlands and Rob Durham in UK. Our goal is to establish a microwave link between two points in the range of 220 km. We have focused our efforts on finding one location on the southeast coast of the UK and the other location in the Netherlands. If a permanent high quality link can be established at this distance it would result in a substantial savings to the user by reducing to number of antennas to span a given distance. After researching the practical considerations of microwave transmission we decided a 5 ghz signal would be best for our link. We have purchased two sets of transmit and receive antennas. The one in the Netherlands is in the photo here in a preliminary test. They were set up in the UK and The Netherlands. Preliminary tests proved we need a very stable location to prevent the wind from pushing the antennas. We did establish a link of 25 miles/40 km so we are confident in our ability to accomplish the 220km distance. One of the biggest interference problems for microwave transmission is the signal property known as Fresnel zone. This parameter can best be understood as a spreading of the transmitted signal and of the reception field so that you have a point between the two antennas of maximum radius of the signal. This radius becomes the lower limit of your antenna’s height above the surface because any contact with the surface of this radius will degrade the signal. At 220km that is about 57 meters. So we need two structures that can mount our antennas above 57 meters. We had thought to place the transmitters on two light houses. But as we considered the ability to accomplish a long term test and even the possibility of a permanent link we decided to use office buildings. We will negotiate with the building tenants/owners to find a good match. We want make this installation good enough that it could be permanent. We anticipate having the microwave link operational by the end of October, 2018. Of course we will get video of the link on operation once it is working.